Go all-in if you have the cash: a fully loaded Titan XD is still thousands cheaper than the competition—and that’s before generous incentives are considered. The 2018 Nissan Titan and Titan XD fill in the gaps left by others with a reasonable price, reasonable performance, and better warranty. The 2018 Nissan Titan is a full-size pickup living in a gilded age for pickups. Beyond towing and hauling, pickups now are expected to be family wagons—or even luxury cars. The 2018 Titan aims for that—and falls short. Available in full-size Titan configuration, or nearly heavy-duty Titan XD trim, the Titan is available with three cabs, two powertrains, in five trims, with numerous options along the way. Rivals go even further. This year, Nissan adds a Midnight Appearance package that adds a few darker accents to the exterior, but we’re not sure that the 19-foot long, 5,000-pound truck Titan will sneak past anyone—even at night. The Titan is offered in S, SV, Pro-4X, SL, and Platinum Reserve trim levels that offer increasing comforts. Not all trims are available in all body styles. The single cab configuration offers S and SV trim levels, extended cab (which Nissan calls King Cab) offers S, SV, and Pro-4X trim levels. The four-door Crew Cab will be the most popular and offers the range of trim levels. A gas-powered 5.6-liter V-8 is standard in Titan and Titan XD. It makes 390 horsepower and 394 pound-feet of torque, and is mated to a 7-speed automatic. 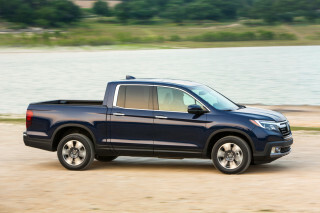 Rear- and four-wheel drive are available and it’s a smooth customer on the road, according to us. A 5.0-liter V-8 turbodiesel sourced from Cummins is optional on Titan XD. 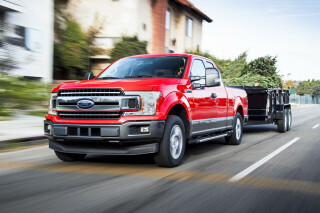 It offers better towing capacity (more than 12,000 pounds) and more torque (555 lb-ft) but it’s pricey and falls short of competitors’ heavy-duty offerings. Most passengers will feel at home in Nissan’s comfortable seats, and the cab is well-isolated from the ladder frame’s shakes and rumbles. The bed makes the Titan attractive to your neighbors—find out how many friends need to move when you buy one—and is offered in 5.5-, 6.5-, or 8-foot lengths, depending on cab configuration. Nissan tucks many of the latest features into the Titan, but not its advanced safety systems. Most people will appreciate the optional 7.0-inch touchscreen for infotainment, but we think the 5-year/100,000-mile warranty is even better. By size, or by the grille alone, the 2018 Nissan Titan is easy to spot down the road. The 2018 Nissan Titan won’t confuse many about its intentions—its pickup shape is hard to miss. It may confuse some about its capability, however. The Titan XD is all of the heavy duty looks, without some of the superlative power—or eye-watering price. In all, the Titan looks like a truck from the outside with a commanding presence and sharp lines. We like others in the class because they manage to be sharp without imposing. The Titan and Titan XD don’t share many exterior panels aside from rear fenders, headlights, and cab elements. Each gets a unique hood and grille to stamp their territory on the truck game. The XD’s grille is blunter—and larger—but the Titan’s is just as impressive. Compared to the competition, it’s more showy, and clunkier. 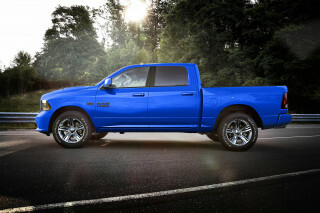 Along the sides, the Titan is unmistakable as a truck, but skips the paragraph found on doors to signify trim levels. Titans just wear “Titan” or “Titan XD” badging with a porthole on the front fender to indicate powertrain. Inside, the truck varies from work-spec basics to Platinum Reserve leather lounge. Top-tier Titans don’t make us completely forget that they’re based on lower-spec versions—the clunky instrument panel and center stack is universal—but it’s function over form, we suppose. The 2018 Nissan Titan and Titan XD offer performance for what most truck buyers need daily. The 2018 Nissan Titan lives up to its billing as a full-size pickup with a stout powertrain menu and brute-force construction. The Titan is available with a 5.6-liter V-8 that makes 390 horsepower and 394 pound-feet of torque mated to a 7-speed automatic transmission. Rear- or part-time four-wheel drive is available. The Titan XD offers the same gas engine and an optional 5.0-liter V-8 turbodiesel sourced from Cummins that makes 310 hp and 555 lb-ft of twist, paired to a 6-speed automatic. For now, the Titan is available only as a V-8—gas or diesel. A V-6 will come later, but we’re not sure when it’ll arrive. The gas V-8 is standard among both models and it’s stout, albeit aged. 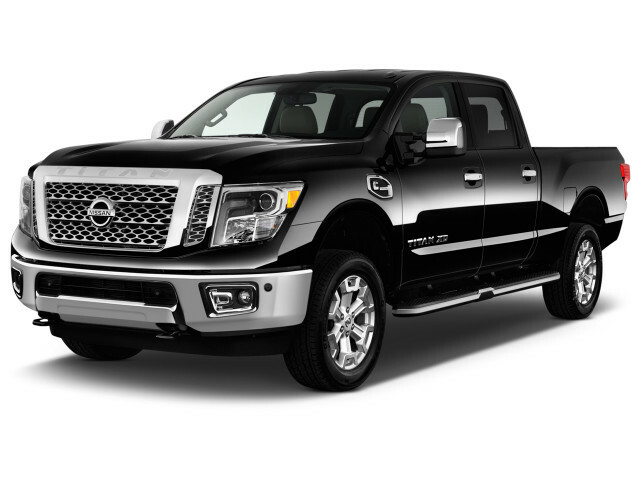 It’s Nissan’s 5.6-liter V-8 makes 390 hp and is rated to tow up to 9,730 lbs in the Titan or 11,270 in the Titan XD. The V-8 is mostly quiet around town, although we’ve found that the transmission is hesitant to downshift when power’s needed to pass on dusty, two-line back roads. The diesel V-8 is the towing champ, but there’s a reason that it wears the XD moniker and not Heavy Duty or HD—it’s down on power compared to the bigger guys’ diesels. The Cummins diesel that’s available in the Titan XD drags up to 12,310 pounds, and its power comes on strong at just 1,600 rpm, but it won’t win many tales of the tape rated against Ram, Ford, and Chevy’s oil-burners rated at more than 900 lb-ft of torque. Both trucks use a fully boxed frame with additional gussets for rigidity and hydraulic mounts to isolate the cabin from nasty vibrations. The trucks ride smoothly on double wishbones up front and a leaf suspension in the back, but it’s not as creamy as the Ram’s optional air ride. In almost all circumstances, the Titan feels better in the cab with a load on the back—true in most pickups. The Nissan’s payload rating approaches 2,000 lbs. (or 2,594 lbs. in Titan XD), and should satisfy the needs for most customers who don’t frequently haul literal tons wherever they go. Titan XDs get their own chassis reinforcements to handle the extended-duty cycle. A reinforced front suspension and leaf-spring rear end, and twin-tube rear shocks are coupled with an American Axle differential with an available electronic locker. Overall, the Titans steer well, but “nimble footwork” and “19 feet of truck that weighs more than 5,000 pounds” are mutually exclusive terms, in our book. Go ahead and buy the 2018 Nissan Titan, just expect that most people will want a ride and help moving. Choose your own adventure early and often in the 2018 Nissan Titan. 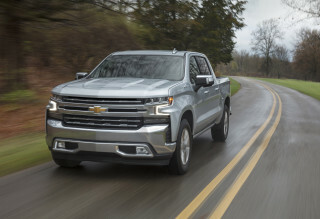 The full-size truck is offered in two distinct versions, with many permutations of cab configurations, bed sizes, and trim levels to choose from there. The lineup list is long, so we advise bringing a pencil. Nissan splits its truck into Titan and Titan XD, the latter being taller and tougher—but not quite heavy duty. 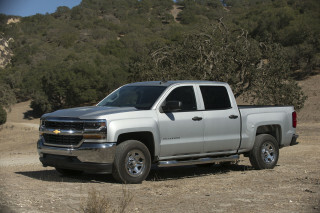 From there, each version is offered in Single Cab, extended cab (King Cab), and four-door full-length Crew Cab. Single cabs are work-truck spec: 8-foot bed, vinyl seats, wash and ready. Crew cabs are better suited for daily detail: 6.5-foot bed (5.5-foot in Titan), four doors, higher trim levels, longer wheelbase in Titan XD. King Cabs are somewhere in between: 6.5-foot bed, cramped rear quarters, and 139.8-inch wheelbase. Any way you order it, the Titan is still a full-size truck that offers a tall view of the road ahead with plenty of space for driver and passenger. The Titan XD is taller by 2 inches, pronounced by its enormous grille that’s taller than we expected. Most versions will offer front seats split by a center armrest that’s deep enough for tools, folders, or daily life detritus—work-site or home-side. Most seats will be shod in durable cloth or reasonably nice hides. Platinum Reserve editions pull out all the stops in terms of leathers, woods, and bright trim pieces, but the truck’s more basic roots still show through in places such as the instrument panel and glove box materials. A 5.0-inch display is standard, while a 7.0-inch touchscreen is optional. The touchscreen is helpful, but lacks the sharpness that other trucks like the F-150 and Silverado 1500 offer. Four movable bed cleats offer flexible tie-down points and double up on the four fixed tie-down hooks in every bed. All trim levels of the Titan offer a damped tailgate that softly lowers without banging on the bumper—or can be raised with a single hand—thanks to a strut hidden behind the taillight. Nissan offers in-box storage bins, called Titan Box, that hold tools when needed, or removed when the full bed width is needed. Nissan offers towing conveniences on all Titans, though it’s optional on most trim levels except Platinum Reserve, but it lacks the polish of its rivals. Ford’s Super Duty, for example, offers more external cameras than a mob compound. The 2018 Nissan Titan has middling safety scores and lacks advanced safety systems. 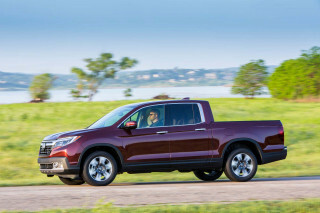 Most pickup trucks on the road defy conventional wisdom that bigger is also safer. The 2018 Nissan Titan is middle of the road for safety compared to other pickup trucks, but below average compared to other new cars. All Titans are equipped with front airbags, and on four-door models, rear curtain airbags. The standard complement of stability and traction control systems are there too. Outward vision in the Titan isn’t bad, and the tall-riding truck has a standard rearview camera on every model. The 2018 Nissan Titan touches all the bases, with a better warranty, for less money. Trims for the 2018 Nissan Titan largely follows pickup truck convention: base work trucks built to a budget all the way up to dressy luxury SUVs with an open bed. 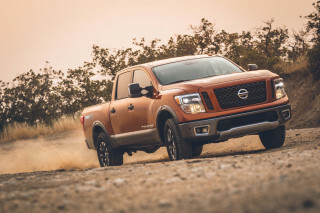 The Titan earns a point here that some full-sizers do not: the bare-bones base versions still come with a 5.0-inch display for infotainment, power features, 18-inch wheels, Bluetooth connectivity, a rearview camera, and air conditioning. It’s not thrilling, but it is around $30,000 with a 5-year/100,000 bumper-to-bumper warranty. Nissan offers plenty of options for the Titan, but not as many as full-size rivals. It’s OK, some truckmakers offer tens of thousands of possibilities—and we’re not overstating it. Titan and Titan XD single cab models are offered in S and SV trim levels that will appeal to fleet buyers mostly. Extended-cab versions (Nissan calls them King Cab) add an off-road-focused Pro-4X trim level. Four-door Crew Cabs add to those SL and Platinum Reserve trim levels that appeal to comfort-first, or luxury truck buyers. New this year is a Midnight Edition package that adds exterior accents in—yup, you guessed it—black for $1,250 on top. The SV trim level largely mirrors the base S grade with a few distinctions. It offers cloth upholstery, satellite radio, better instruments, and a smattering of small stuff like map lights. The SV trim level is better considered as a springboard: there are more options available than the S trim, and it’s for important stuff. The SV trim can be equipped with a tow package (S can’t), popular equipment (keyless ignition, blind-spot monitors, 20-inch wheels, navigation), and a spray-in bedliner. We’d suggest this is where most buyers start. The SL trim level heaps on the niceties with an upgraded audio system, power adjustable front seats, leather upholstery, 20-inch wheels, chrome trim accents, remote start, front and rear parking sensors, and Nissan telematics. It’s a nice place to be. The Platinum Reserve trim level may sound like a top-shelf tequila but we guarantee that the truck will treat you better in the morning. It goes all out with heated and cooled front seats, heated rear seats, interior chrome accents, a surround-view camera system, embossed leather seats, and a few package options including a rear-seat entertainment system. All-in, a Platinum Reserve Titan XD with a diesel engine runs close to $65,000, which is comparatively reasonable. 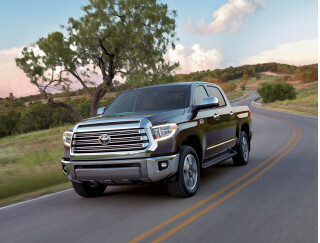 All trucks are backed by a 5-year/100,000-mile bumper-to-bumper warranty that is the most generous from any truckmaker. Nissan’s infotainment is clunky compared to rivals from Ford and Ram. The screen lacks pixel density, and newly available telematics are buried in an icon that we think many will miss. Among the reasons to buy a 2018 Nissan Titan, good fuel economy won’t be one of them. The 2018 Nissan Titan range is average among full-size pickups, in terms of fuel-economy at least. They’re thirsty, is what we’re really saying. Rear- and four-wheel-drive models are rated identically. The Titan Pro-4X boasts chunkier tires that cut into highway fuel figures. It’s rated at 15/20/17 mpg. The Titan XD is treated like a heavy-duty pickup by the EPA and not rated at all. We question that logic, but report that our experience with the diesel-powered version returned combined mileage near the rest of the pack. That means the Titan is no better—and no worse—than the rest of the pack. 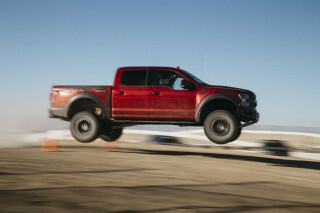 Most of the Ford full-sizers hover around 20 mpg combined, same goes for the Chevy Silverado. 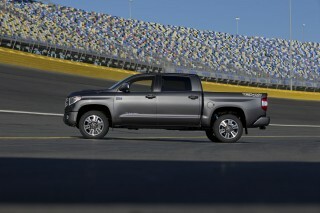 The Toyota Tundra’s thirsty V-8 fares worse, as low as 14 mpg combined.